My name is Mo. Mom and Dad saw my picture on line and came to meet me at a rescue. I decided quickly that I wanted to go home with them and their dog, Jett. Now Jett is my best friend, and we play constantly. 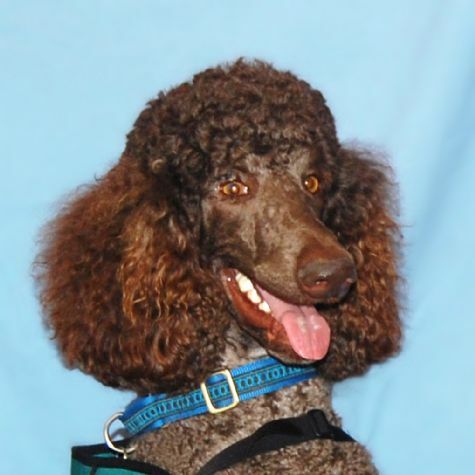 My parents call me their gentle giant because, although I am a very large brown Standard Poodle, I am a very affable, sweet-tempered, docile guy. My favorite activities are playing, snuggling, getting petted, and eating treats. That's why being a Therapy Dog is the perfect job for me!